‘uniform’: The discretization is uniform in each feature, which means that the bin widths are constant in each dimension. quantile’: The discretization is done on the quantiled values, which means that each bin has approximately the same number of samples. 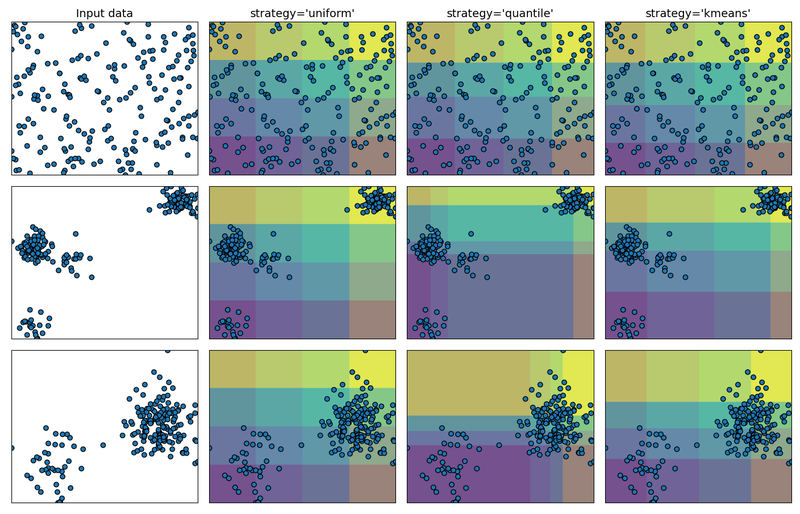 ‘kmeans’: The discretization is based on the centroids of a KMeans clustering procedure. The plot shows the regions where the discretized encoding is constant.